No matter what he does or where he goes, Uncle Kracker adheres to a simple, yet rather timeless philosophy. Now he’s having more fun than ever. And it certainly shows with the recent release of his single “Floatin’.” The feel-good track recorded in Nashville couples Uncle Kracker’s heartfelt, infectious lyrics with a country groove that will keep fans smiling. Uncle Kracker will be showcasing his tried and true hits along with some new tunes in sheds across the country. His live show continues to get bigger and better with every tour. "It's very interactive," he says. "It's meant to be a party, and I want everybody involved. Each time we go on stage, I want people to leave smiling." 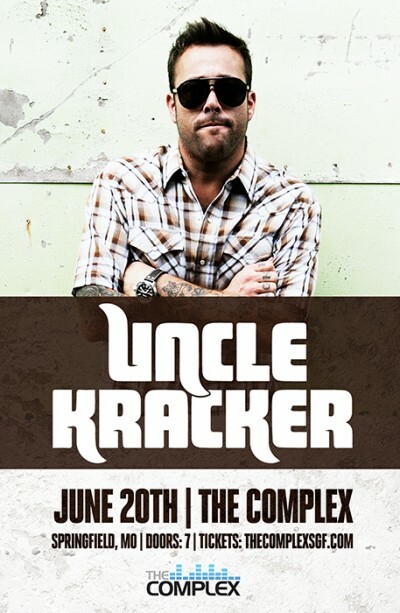 Uncle Kracker has played sold out shows across the country and appeared everywhere from the American Country Music Awards to Late Night With Conan O'Brien. He is still having a blast, and fans worldwide undoubtedly will too when they see him on the road.